Lawn Boss is an extremely versatile tyre and offers all round performance with a flat Profile and ample tread depth. 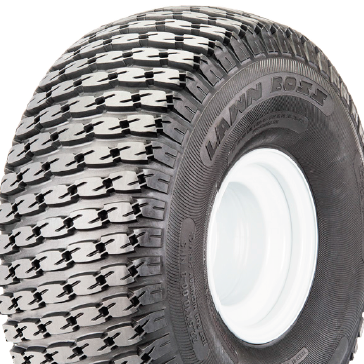 This tyre can be used on machines ranging from zero turn mowers to utility vehicles. The variety of sizes available matches to almost all machine needs.